Back a decade-and-a-half ago when the term “nanotechnology” was first garnering interest from the investment community, the UK-based specialty chemical company Thomas Swan had already launched into producing single-walled carbon nanotubes (SWCNTs) on a commercial scale. Having an established chemical company like Thomas Swan engaging commercially in nanomaterials provided a kind of imprimatur of respect that nanomaterials and nanotechnology were for real and not just some lab experiment. 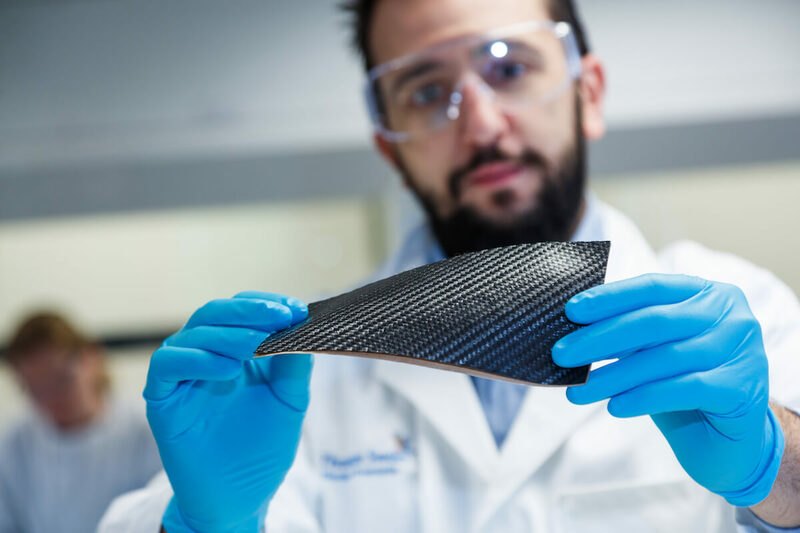 Now Thomas Swan has added to their portfolio of nanomaterials by offering graphene and the two-dimensional version of the insulator boron nitride. 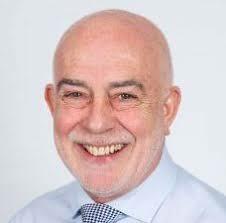 This move, in its own way, provides another imprimatur that graphene and its commercial aspirations are for real and that the marketplace will need to take greater notice. Thomas Swan has now joined The Graphene Council as a Corporate Member and with this new membership we took the opportunity to talk to Michael Edwards, the Business Director of Advanced materials at Thomas Swan, to get some further insight into why the company has entered the graphene business, how that business relates to their SWCNT business and how the company expects to see their graphene business as well as the market in general develop in the near future. Q: Thomas Swan was one of the first established specialty chemical companies that got involved the manufacturing and development of nanomaterials, going back to your involvement in single-walled carbon nanotubes (SWCNTs) and now with graphene. What has been the reasoning that led Thomas Swan to enter these business lines so early? A: It's always bee the vision of Harry Swan, to be honest with you. Harry is the owner of our business. He's the fourth generation of Swan. His initial involvement in the business was with carbon nanotubes, and subsequently, advanced materials. We feel that it's an extension to the chemicals business. It provides leverage into different markets. Carbon nanotubes and subsequently graphene and now more recently, boron nitride, it is more the same; it's an extension of the business unit and a continuation of wanting to be at the forefront of technology. Q: As mentioned, Thomas Swan has long been a producer of SWCNTs. What have you learned from your SWCNTs business that informs your graphene business? What are the differences between those two lines of business and what are their synergies? A: What we learned from the CNT business was not to be too optimistic about forecasts. There's a lot of hype with new technology as the Gartner hype curve suggests. There are a lot of innovative start-up companies, some with a lot of early investment who are prepared to lead you down their vision of the end-goal. We've spent probably more than £10 million in investment in the two technologies over the last 10 years. We have capability for production, in volume that we can start immediately. What we've learned is to be a little bit more patient with those new markets, understand the breadths and depths of them, and know that you have to talk to world leading manufacturers as well as innovators in order to get your overall perspective and product correct. The synergies are in the characterization that you need to do. You need to have a different type of person scientifically between chemistry and materials. That was a good learning. In a sense carbon nanotubes and graphene are the same, but carbon nanotubes and graphene require a different approach to the chemicals business that we have. We have had to form a dedicated team but can still call on expertise in the areas of production, QA, Logistics, etc. Graphene and carbon nanotubes are different in the respect that whilst they are both supply chain materials, graphene is far more of an additive than carbon nanotubes appears to be. In a sense, it's further down the food chain. You've got a diagram in the Graphene Council Bulk Graphene Report, which I use extensively, which shows the various different types of graphene. Graphene tends to be a lot more difficult and it's more of an additive. You're getting far less benefit in graphene than you appear to be getting in carbon nanotubes unless you go to the right-hand side of that form and you reach what I call utopia, which is trying to meet that pristine, graphene defect-free perfect product. Q: Could you give a bit more background on the type of graphene you're producing? The manufacturing process you employ, the markets you target for your graphene products? A: We have an exclusive licensee for Trinity College Dublin's liquid-phase exfoliation, high-shear method. We manufacture using liquid phase exfoliation, but we have extended that to our own patents using homogenizers, which have a slightly different method of liquid-phase exfoliation. We have a version of the technology in which we're up to tens-of-kilograms towards hundreds-of-kilograms production capacity with manufacturing capability today of few layer graphene, multilayer graphene. Using our scaled up technology adopting homogenization, we have graphene nanoplatelets with a capacity today up to about 20 tons. The beauty of this technology, and they're both patented and licensed to us, is that it's a linear scale up. We can quite readily move up to thousands of tons capability on the graphene nanoplatelets. The areas that we're targeting are composites, lubricants, inks, coatings, and we're doing early work in battery technology. Also, since we have boron nitride, we are working hard in barrier coatings and thermal interface coatings as well. We offer both solutions in that area. With SWCNT’s we can address the semiconductor memory and battery chemistry areas also. Q: Thomas Swan also manufactures other two-dimensional materials, namely molybdenum disulfide (a semiconductor) and boron nitride (an insulator), correct? Are you making heterogeneous materials with these other 2D materials? A: We haven't really done a lot of work with molybdenum disulfide. Part of that is because—this goes back to that chain of command of graphene products—that tends to be a semiconductor. You tend to need to have your business development team focused on a different market. The boron nitride that we're working on, as I said, fits quite neatly alongside graphene. Often we can sell our powders dispersion or masterbatches as boron nitride or graphene. It gives us the flexibility to talk to customers. That's basically the way that we're going to market. Q: How far do you see your company moving up the value chain of 2D materials? Will the company consider making devices with the materials you are producing? Where would the company draw the line in moving up the value chain? A: Well, the company itself is mainly a performance chemicals company, toll- manufacturing and now advanced materials company. The extent to which I think we’ll move up the value chain probably will stop at masterbatches, inks and maybe coatings,. Based on the fact that we've got a global reach with major global corporates, our preferred approach is to work with these guys’ R&D teams, and we will get put right back in our place if we try to overextend. We sit in the value chain, we provide good value, we have a very strong manufacturing ethos with capability for operations and distribution outlets around the globe already in place. I believe we know where we fit in our value chain and it will extend no further than what I've mentioned. Having said that, and going back to the question about what technology we have, we have just patented a technology, which allows us to do a bottom-up process. We’ll be able to talk more about that in the next month-or-so. However, we have filed the patent and it's a process that allows us to use our current processing technology. Furthermore, it allows us to produce some forms of functionalized graphene. There will be news on this over the next couple of months in terms of each detail and our marketing strategy. I believe, as we move up the application chain, we add more value to our customers potential. It will certainly add to our base product road map, but we always try to add more to our service to our customers by offering them an option, utilizing the strengths of our R&D team here. Potentially it's a good solution because we've already trialed this with our production technique. It's another string to our bow. Q: What do you see for the future of graphene’s commercial interests, i.e. a reduction of the number of applications or an increase, market consolidation for both producers and buyers, etc.? A: I think it's a rationalisation more than anything. I think there will be a commodity graphene area, which is looking at areas such as tyres and carbon black in that space as well as asphalt/concrete where you'll really need to get high volume producers who are capable of getting the price down significantly. There will also be that niche middle ground where we will palce ourselves, adding value to a customer’s product, trying to get 10% to 20% improvement on one or two parameters of that product to give them access to the market, and therefore you'll have be influential in their overall value proposition. It's that high-end electronics defect-limited, single-sheet graphene which is going into the electronics field. To some extent, that's also where our single-wall carbon nanotubes may end up is in that electronics field where you're adding some value. Maybe even in batteries. That will get a little bit smarter. I believe therefore there are three distinct categories and the definition of those various graphene subsets probably help in that definition. We won't be a huge volume manufacturer, typically hundreds to thousands tonnes annually, but our technology might well lend itself to helping our customers in their specific niches. You can already see some of our competition linking themselves to mines, and talking about really high volume. I think there’s room for a few of these companies, but we probably won't play in that area. Q: At this point, do you believe that a lack of standards poses a real limiting factor the commercial expansion of graphene? A: I think the recent definition is helping clarify the situation. I think a lack of standards is always a problem, and it prevents major players doing anything more than dipping their toe in the water. I absolutely agree that standards will help drive the market. I believe it will help define both product and applications far more clearly.